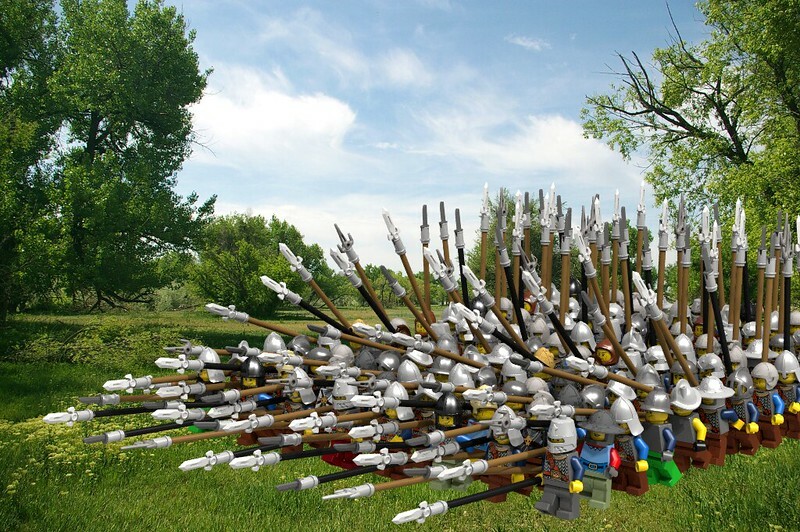 Peasants with sharp sticks, run away! Run away! You know the worst thing about swords? It takes forever and a day to learn how to use 'em. On the other hand, any grubby peasant can wave a spear around. I wanted to see if I could. It just takes a long while to render. Not sure if it'll come to anything; I had an idea for a game, but A: I'm not sure if it's workable and B: we're overdue for Clonetard City 1.5 by a long while. Well, look who's alive. Good to see you back(ish). Thank you so much! That has always been my least favorite thing about fantasy movies/books, the overpowered swords and cavalry against pike blocks which should murder them. Quoting Deus "Big D." Otiosus Really? I thought the problem with swords was not that they are hard to use, but not being battle weapons? Both. They have a place - sword-and-board came back into fashion for a while in the 1600s - but that place is not "hand them out to the local rowdies and let's go bash some heads". Really? I thought the problem with swords was not that they are hard to use, but not being battle weapons?